Animals adopted from WJVA must successfully pass a health and temperament screening and must be spayed or neutered before they are released from the rescue. Our adoption fees range from $150.00 for dogs 8 years and older, $250.00 for dogs up to 7 years old, and puppies are $300.00. Adoption fees cover spay/neuter, vaccinations, microchip identification, 4dx test, worming and monthly preventatives. Adoptions are not on a first come basis. 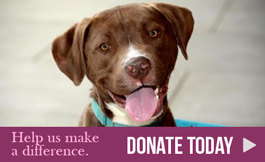 Finding the Best Match for the dog and potential adopter is our top priority. WJVA is an all volunteer rescue. Our dogs are in private foster homes or partner boarding kennels. Arrangements will be made for applicants to meet the animals in a timely manner. Thank you for wanting to Adopt and Save a Life.